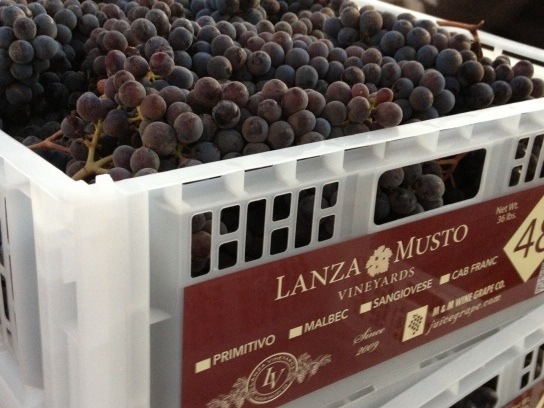 Lanza-Musto Vineyards and M&M Wine Grape Co. are always looking to bring you up to date and compelling industry news. We know many of you have been interested in information about the California drought. Click here for the Wines & Vines article “California Grape Vines Budding Out”, which gives an overview of California’s bud break and how the drought has affected the 2014 harvest. 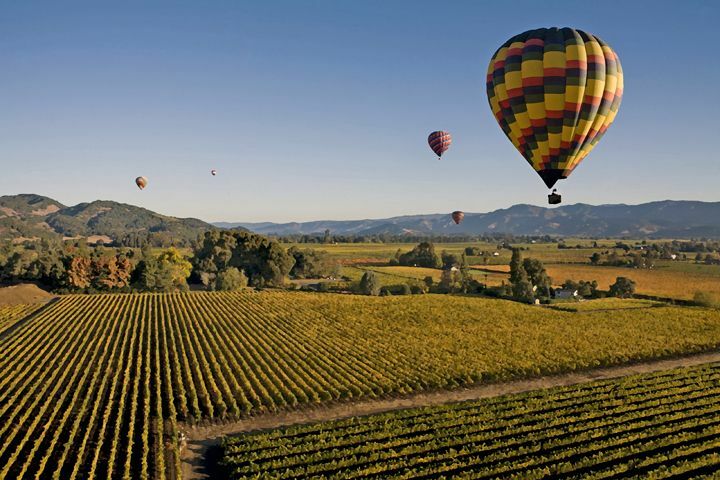 Wooden Valley Winery was voted “Best Winery to Visit” in Suisun Valley. This comes as no surprise to the staff at M&M Wine Grape Co. The grapes, people, and wines are wonderful! 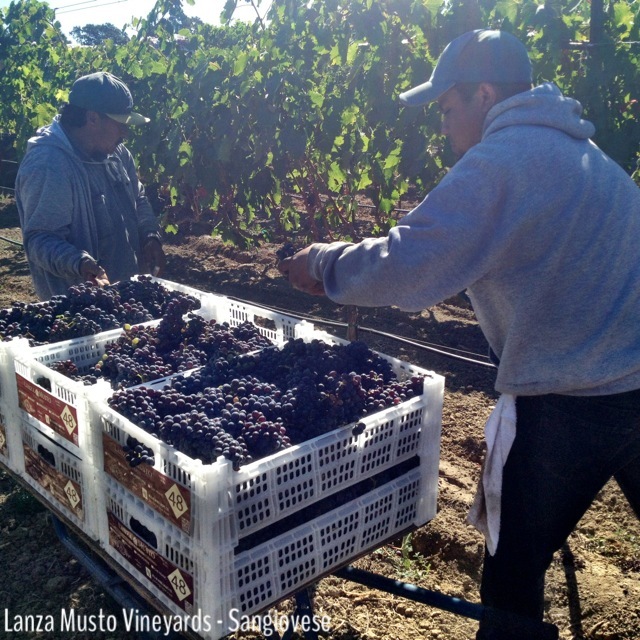 The Lanza family works hard throughout the year to bring you some of the best grapes California has to offer. The Wooden Valley Tasting Room mirrors that passion, bringing the best winery experience to those who live in Suisun Valley and visitors from all over the world. Click here to read more about why Wooden Valley was chosen as the “Best Winery to Visit” by The Daily Republic. Also, check out Wooden Valley Winery’s website to attend events and hear about tasting specials. We looked today and saw that “Food Truck Fridays” are starting up! 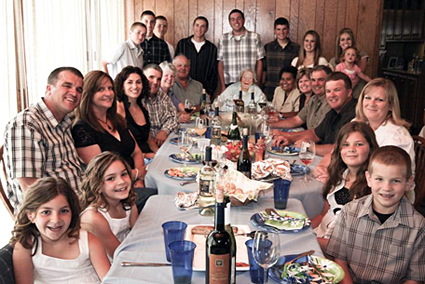 If only we could all live in California…..
Can’t make it to Tuscany this year? Don’t worry; you can make some fabulous Sangiovese right here in the US! 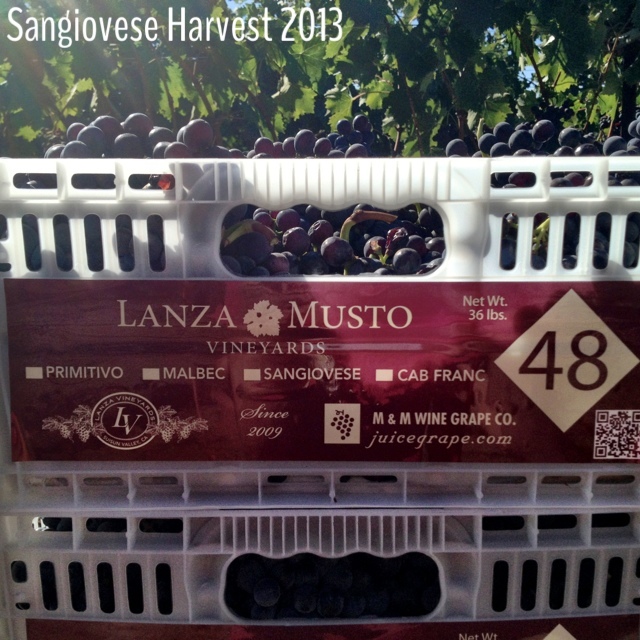 Lanza-Musto Vineyards has been producing Brunello Clone Sangiovese for the past 2 vintages. There are over 14 different Sangiovese clones that exist but the Brunello truly flourishes in Tuscany and Suisun Valley. Also, the Brunello clone has been said to be the best clone of Sangiovese vines. One of the big reasons we planted this variety is because the valley provides hot days and cool nights. The temperature can swing over 50 degrees depending on the time of year. Sangiovese eats this type of weather up! This high producing variety soaks up the sun and enjoys the break under in the cool night air. As is always said in winemaking, you need great grapes to make great wine. Well now that you are starting off with the best Sangiovese clone, it is time to move on to the best yeast. Below are the top four yeasts used when producing Sangiovese. BM45: BM45 is used because Sangiovese is slightly higher in acid and it helps to mellow out the mouth feel of the wine. BM45 highlights the polysaccharides and you will create a wine full of rich earthiness, jammy fruits, and spice. BM 4×4: The BM 4X4 creates the same mouth feel and flavor profile as BM45. However, the BM 4X4 was created to adapt to stressful fermentation situations. 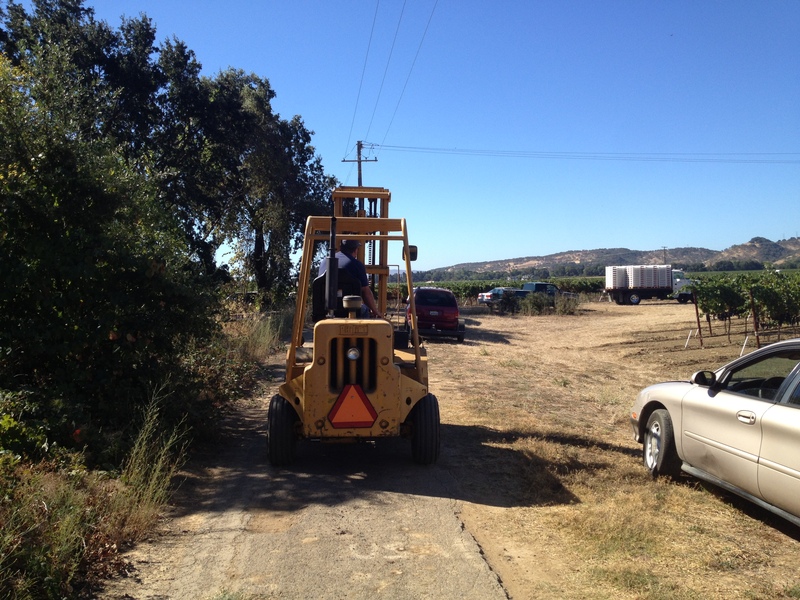 If you do not have a temperature controlled environment for your winemaking we suggest utilizing BM 4X4. It will give you a fantastic flavor profile while being reliable and easy to work with. 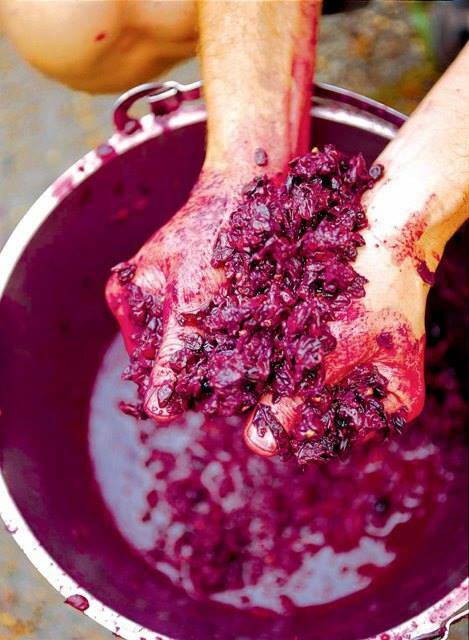 VRB: VRB is a yeast that is used for Tempranillo and Sangiovese. VRB brings out jams, dried plum, and hazelnut in the wine’s mouth feel.The mouth feel is similar to that of a wine made with BM45 or BM 4X4 but the VRB can create a bolder wine with up to 17% alcohol assuming the starting Brix are high enough. D254: D254 is a Rhone variety yeast that has the ability to produce a wine with up to 16% alcohol (again assuming the sugar content is there) D254 will produce a wine with jammy, spice, and cedar characteristics on the nose and pallet. Sangiovese is one of the hottest up and coming varietals being produced in the United States. Click here and make sure to secure your order of Brunello Clone Sangiovese for Fall 2014. You will not be disappointed! Sangiovese, a wine which originated in the caves of Rome is being recreated by you! 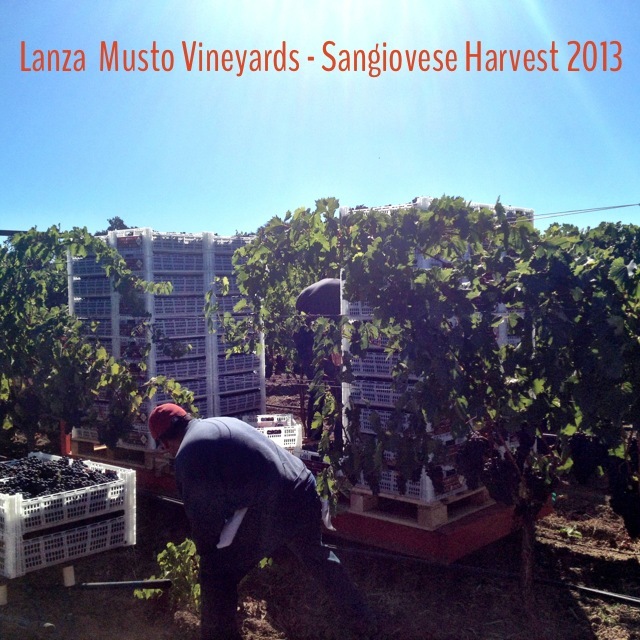 The Lanza-Musto Sangiovese was planted in 2009. These four year olds are yielding some tasty fruit. The wines should yield bright strawberry flavor with hints of spice. If barrel aged, it will elegantly embrace the oak from your barrel of choice. We suggest using either French or Hungarian oak to truly highlight the structure and flavor profile of the wine. Happy wine making!